All of your favorite “Stranger Things” characters are featured on this new Mini Backpack from Loungefly, available now at BoxLunch. You can find Mike, Will, Dustin, Lucas, Eleven and more on the strange-yet-adorable allover print. The bag also features a main zipper compartment, small zipper closure pocket and two side water bottle pockets as well as adjustable black straps. 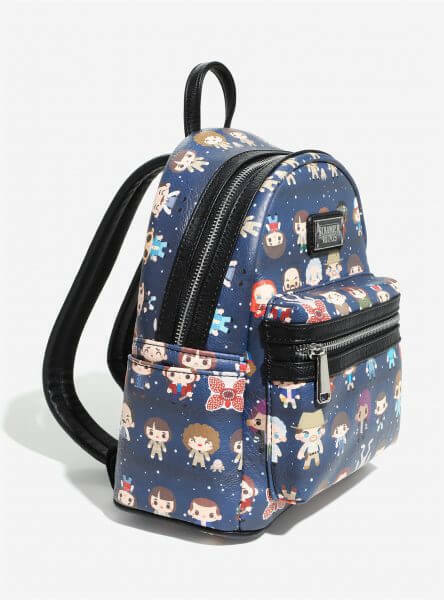 You can order this Stranger Things Mini Backpack from Loungefly by clicking the ‘Purchase’ button below!